I NEED this tee-shirt! It is so fitting. What do you think? 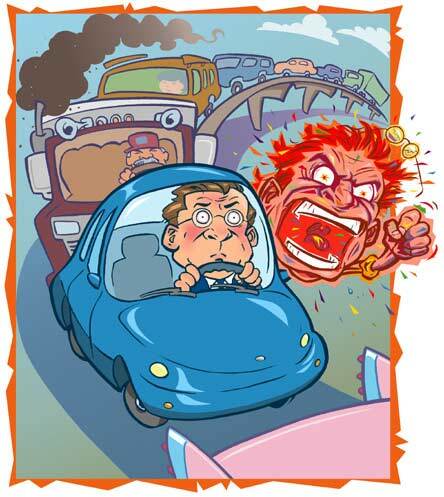 I hate driving because people are crazy! I have already established I am NOT a morning person, but to have to commute in, on top of having to get up when it is still dark outside….. well, you would have a better chance of seeing pigs fly then trying to have a logical conversation with me. Not only are people in such a hurry to get to work, but they are also in the mood to just be plain rude (yea, you in the white car: do you feel better now that you cut me off to be one car ahead?)! I mean, really people, what is the hurry to get to work. I know that people (clearly) cannot be THAT excited to be going to work. Alright, what do I know?! Anyways, on top of a horrible commute in and getting EVERY, SINGLE RED light, I am now ready to start my Monday morning….is it time to go home yet?